Michael James Smith was born on 13 December 1899 at Blayney NSW, the son of William Smith and Ada M, nee Dover. He died on 27 December 1949 at St Vincent’s Hospital,Sydney. He was unmarried. 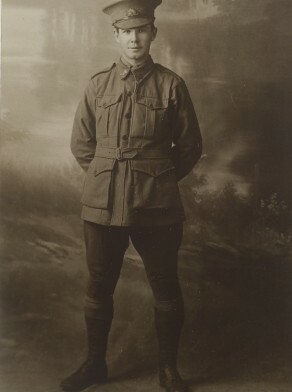 Michael James Smith was a dental mechanic living at Water Street, Blayney, when he enlisted on 7 June 1918. He served as a Private in a Recruits Battalion. After the First World War, Michael Smith had a dental practice in Liverpool Street, Sydney. Michael Smith was Alderman for Fitzroy Ward, 4 December 1948 until his resignation due to ill health on 29 October 1949. Smith was a member of the Works Committee in 1949 and chairman of the Health and Recreations Committee.